Cyril F Crapp, was the son of William Clymo Crapp, of Golf View, Malvern Common a draper at Warwick House, Great Malvern. His step-mother ran a nursing home in Manby Road, probably Brightside, which was where William was living in 1914. He served with the Machine Gun section of a battalion of the London Regiment and was invalided home. 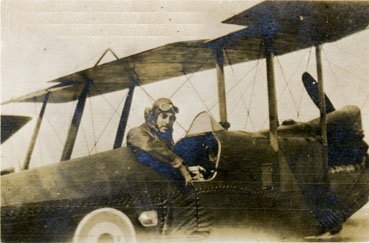 He was gazetted as a 2/Lieut attached to the RFC in August 1916. Lieut Crapp’s funeral took place at Aldrington. A large crowd turned up to watch, and his coffin was borne by Sergeants of the Royal Flying Corps. In the funeral procession were detachments of his Squadron and the Royal Naval Air Service Naval Patrol, Newhaven. Mourners included his mother and father, Mr and Mrs Crapp, Mr W Crapp (his brother) and his CO Major J C Halahan 78th (Home Defence) Sqn RFC. 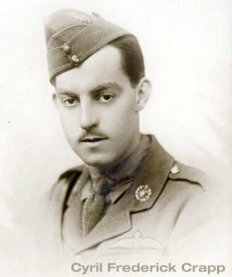 Mr Crapp’s elder son, who went through the trench warfare of 1915 and the engagements of Neuve Chapelle and Aubers Ridge, was severely wounded and eventually discharged.